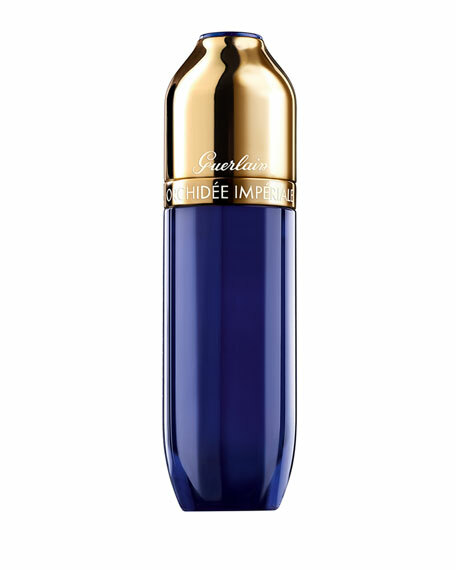 Guerlain Orchidee Imperiale Eye Serum, 0.5 oz. 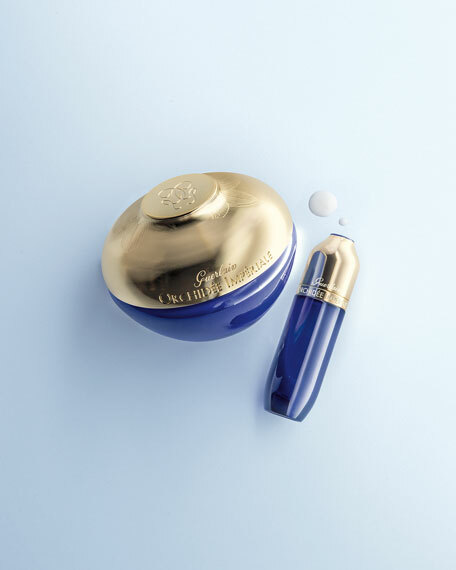 GuerlainOrchidee Imperiale Eye Serum, 0.5 oz. The first Orchidée Impériale eye serum for total eye brightening. Smoothed and even, the eye contour area appears brighter with every day. The anti-dark-circle effect acts against the primary causes of dull eyes. The fine texture glides on the skin and is quickly absorbed with a fresh sensation and toning effect upon application, making it perfect for layering and enhancing the effectiveness of the eye and lip cream. GOLD ORCHID TECHNOLOGY: Global anti-aging effect; regenerates deep within the skin and prolongs cell life. Acts on all the signs of aging, with wrinkles and fine lines smoothed for a lifted effect. Smooth and tone the eye contour area: Apply a little serum morning and night with tightening smoothing strokes from the inside to the outside, first below the eye and then above. Finish the application by pressing on the outer corner of the eye. Reveal luminosity: Gently tap all fingers around the eyes. Apply more pressure to the eye contour area using the index and middle fingers.